The open, and untamed, web. The new browser version of Flipboard looks somewhat like the version open on my iPad, but the resemblance is faint. Don't take this the wrong way, but the browser version makes the iPad app look dated. The browser version has a clean scrolling interface, while the iPad app is still stuck in 2010 (when pagination was hot stuff). Surprisingly, the web browser has better typography and a better layout flow. Where the iPad app offers you an image, title, and blurb for each article, the browser version just shows the lead image and title in a Masonry-style layout. The latter is simply prettier. And best of all, Flipboard for the web just shows you the title and lead image; click a link and it will take you to the source website rather than show you a cleaned and reposted version of the article. As a publisher, that is a feature I appreciate. And as a user who likes to graze on websites' related post lists, I also like it. All in all, the new Flipboard isn't just an expansion into a new venue; it's a graduation into a new level of sophistication. Let's hope they go back and upgrade the iPad app so it works just as well. 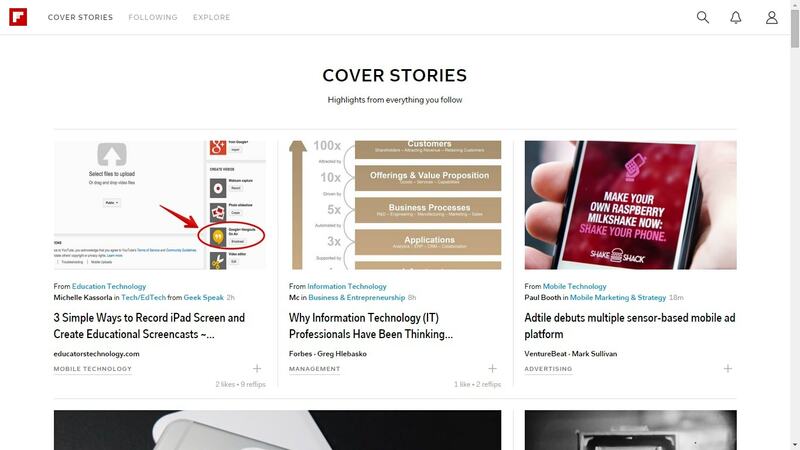 The most important part of the new web flipboard, is how they made it. Its an extremely elegant bit of code (which I have no doubt they will be rolling into their apps at some point). Take a look at their blog (in which they describe how they did it) and the source code. The only post I found read like marketing copy, so I tuned it out. Got a link? Thanks. You’re right, they did put a lot of work in this.